Grab a taste of Hawaii with this Hawaiian-style chicken recipe! The homemade madinade made with pineapple juice, coconut aminos, honey and ketchup packs a ton of flavor. 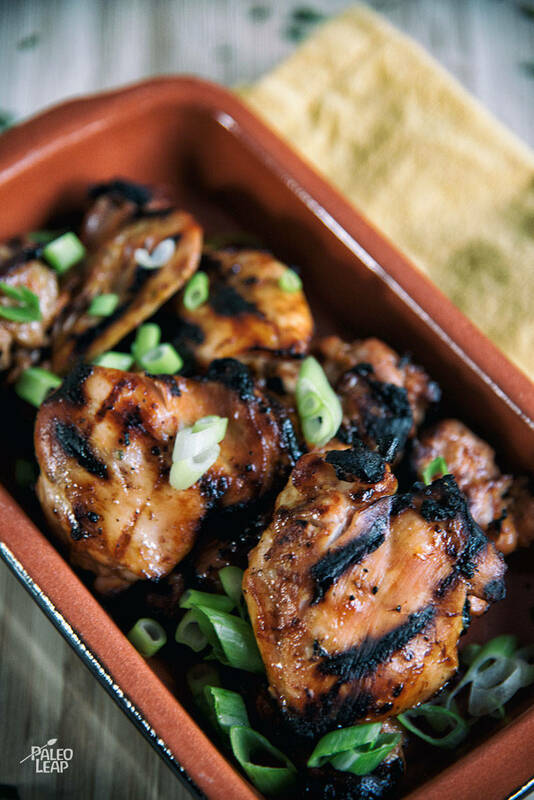 Allow for a bit of time for the thighs to marinate, then watch them turn into a sweet, caramelized protein-dish. Store-bought ketchup is often full of high-fructose corn syrup and other artificial ingredients; make your own with a homemade recipe and control the flavors, ingredients and taste. 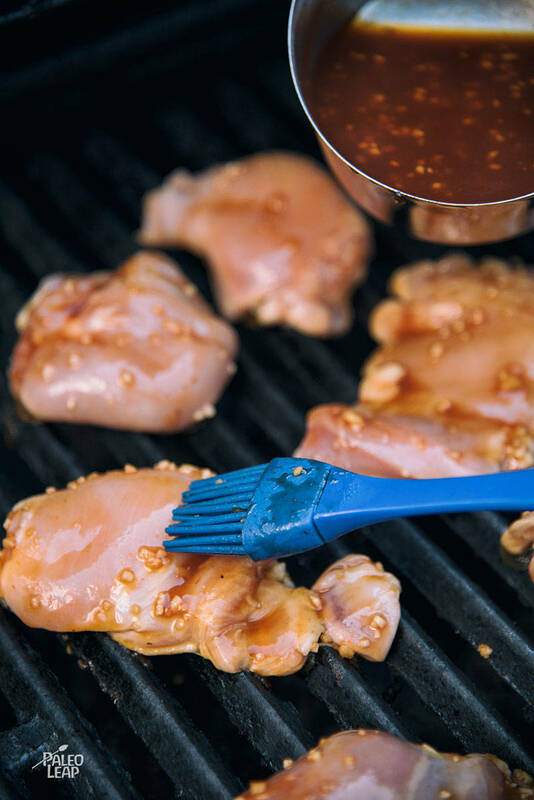 The marinade also substitutes for other Paleo ingredients, like using coconut aminos instead of soy sauce. Have pineapple on hand? Throw some pineapple on the grill for about 3 minutes per side while you’re grilling up the chicken thighs. Use any leftover chicken in a salad or even in a breakfast scramble. In a bowl, combine all the ingredients except the chicken. Stir until well combined and season to taste. Marinate the chicken with 3/4 of the pineapple sauce for 2 to 4 hours in the refrigerator. Grill chicken on the preheated grill, 4 to 5 minutes per side, basting with the remaining sauce. Optional: serve chicken topped with green onions and grilled pineapple slices.